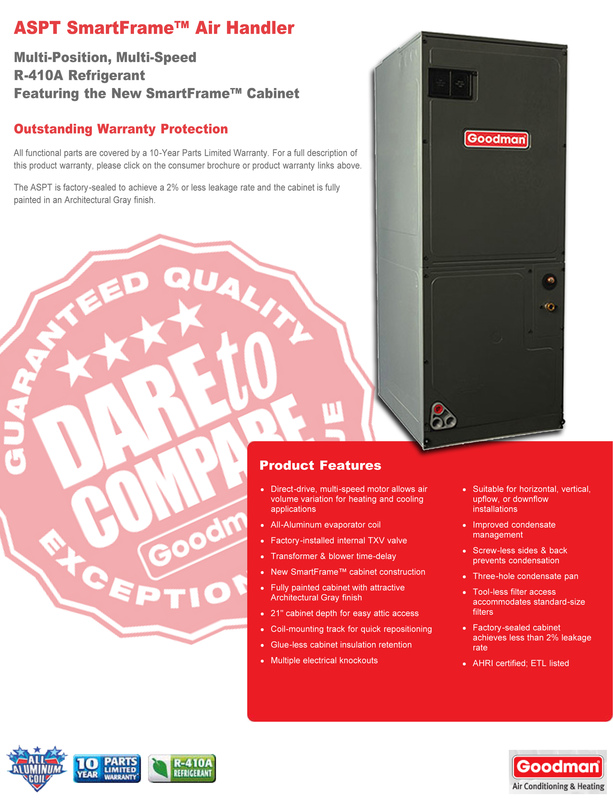 Your GSZ16 & ASPT will provide superior heating & cooling for years to come. 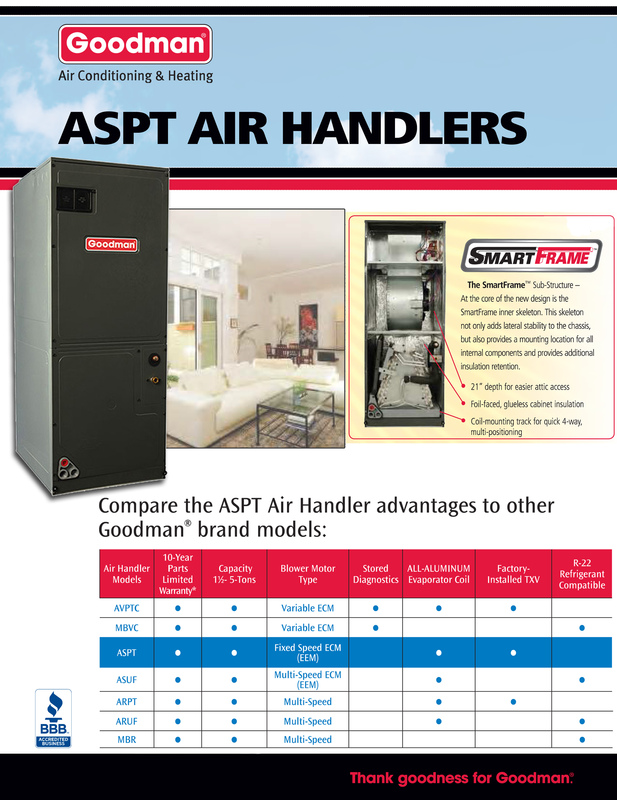 With the new GSZ16 / ASPT SMART design, this system exceeds the new 2015 EPA laws. Good service, great prices! What more can you ask for? Received air handler the shipping company was 2 hrs. late put me behind enough that I did not remove the black shrink wrap just looked it over. Sign for it and we all left. After further review at some point the unit had broke free from the straps and fell over damaging one side which was placed on the bottom along with the straps with the unit on its side instead of standing up. Being close to Christmas the shipping company won't have an answer for me for a couple days.